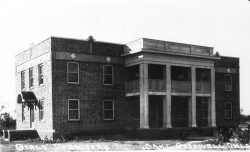 OPSU was created by an act of the Oklahoma State Legislature in 1909 as Pan-Handle Agricultural Institute offering secondary agricultural education for the Panhandle area. 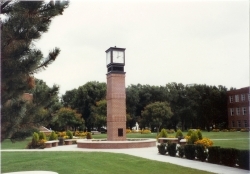 In 1921, the legislature authorized the school to offer a two year college curriculum, and the name was changed to Panhandle Agricultural and Mechanical College. 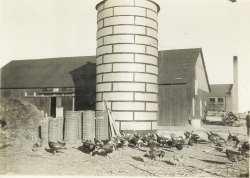 In 1925, the State Board of Agriculture authorized upper division college courses, and in the summer of 1926, junior and senior level courses were added to the curriculum. Two additional name changes have been ordered by the legislature: in 1967, Oklahoma Panhandle State College of Agriculture and Applied Science; in 1974, Oklahoma Panhandle State University. History For all of the buildings and signifigant structures of OPSU has been compiled for the centennial celebration and can be viewed here as well.